I’m in Monaco for the 10th forum of the Convention of Independent Financial Advisors, a Swiss-based NGO that focuses on promoting an ethical and productive environment for private investment. I moderated a couple of panels on interesting topics, including the European fiscal crisis. But I want to focus on the comments of another speaker, Monsieur Matthieu Ricard, a French-born Buddhist monk. As you can see from his Wikipedia entry, he’s a very impressive individual. 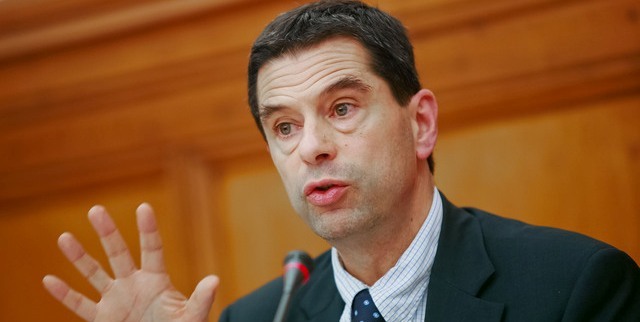 In addition to his other accomplishments, he serves as the French translator for the Dalai Lama. During one of the dinners, we got into a fascinating conversation about the Buddhist concept of altruism (or at least one strain of that tradition) and Ayn Rand’s concept of selfishness, both as general ideas and as they relate to happiness. At the risk of sounding un-libertarian, I’m siding with the monk. Even though I’m a big fan of Ayn Rand and periodically give away copies of Atlas Shrugged to unwary young people, I’ve always been puzzled by the Randian hostility to altruism. Yes, coercive altruism is wrong. Indeed, it’s not even altruism, particularly if you think (like Michael Gerson or Barack Obama) it’s noble or selfless to forcibly give away other people’s money. But Rand seemed to think (and some Randians definitely think) that voluntary acts of charity and compassion are somehow wrong. In some sense, these folks take an ultra-homo economicus view that people are relentless utility maximizers based on self interest. If this is a correct interpretation of Randianism (perhaps I should say Objectivism? ), then I think it is inadequate. Yes, people want money, and almost everybody would like more money, but I’m guessing that it is non-monetary things that make people happiest. I don’t want to sound too warm and fuzzy and ruin my image, but aren’t children, friends, family, and love the things that make the world go ’round for most of us? Yes, we also value achievement, but even that can be unrelated to pecuniary considerations. These are amateur ramblings on my part, and I’ve probably done a poor job of describing the views of Randians and Monsieur Ricard. Moreover, I’m sure that very intelligent people have examined this issue in a much more sophisticated fashion. For a fiscal policy wonk like me, though, this conference and this encounter forced me to give some thought to how you can be a big fan of Ayn Rand while also feeling good about holding open doors for little old ladies. 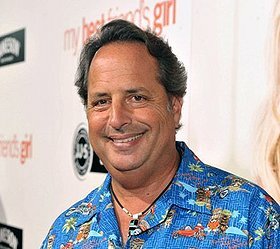 The Jon Lovitz Tax Rant: If Obama Loses the Hollywood Left…? We may need a new term, perhaps “Holly-tarians,” for folks in the entertainment industry who have begun to realize the downside of excessive government. I’ve already favorably cited Clint Eastwood for his pro-flat tax views and dismissed Arnold Schwarzenegger on national TV as a de facto statist, but there are other actors who deserve some attention. I don’t know whether Jon Lovitz is a budding Hollywood libertarian, but (in addition to being a very funny character actor) he certainly seems a bit upset with Obama’s class-warfare approach to fiscal policy. Since I couldn’t figure out how to embed the file, click on his image and it will take you to an audio file of him ripping Obama, high taxes, and occupy poseurs. Warning, there are plenty of naughty words, including ubiquitous F-bombs. I will make one correction to his rant. He says that middle-income people have the same deductions that are available to rich people. That’s not really true. Rich people, as I have explained before, don’t rely on wage and salary income like the rest of us. Instead, they earn capital income and business income, which opens the door to a much larger degree of tax planning. For what it’s worth, this is why Obama’s proposed tax increases won’t raise nearly as much money as projected. But since politicians doubtlessly will increase spending in anticipation of higher receipts, the net effect will be bigger government and more red ink. In other words, business as usual in Washington. Even though I favor radical reductions in the burden of government, I’ve made the point that good fiscal policy merely requires that government spending grow slower than the private sector – what I call Mitchell’s Golden Rule. And if lawmakers simply cap the growth of spending, so that it grows by about 2 percent annually, the budget deficit disappears in a decade. It’s even better to impose more restraint, of course, which is why I’ve said favorable things about Senator Rand Paul’s plan. There’s also a “Penny Plan” that would reduce primary spending (non-interest spending) by 1 percent each year. As James Carter and Jason Fichtner explain, this degree of fiscal restraint would reduce the burden of government spending to about 18 percent of economic output. Any viable solution must cut spending growth. Sen. Mike Enzi of Wyoming and Rep. Connie Mack of Florida have introduced legislation in their respective chambers to do just that. Their “Penny Plan” – recently updated to reflect the latest budget developments – calls for reducing federal spending (excluding interest payments) 1 percent a year for five years, balancing the budget in the fifth year. To maintain balance once it’s reached, Mr. Enzi and Mr. Mack would cap federal spending at 18 percent of GDP. By no small coincidence, 18 percent of GDP roughly matches the U.S. long-run average level of taxation since World War II. Is it realistic to think Congress could limit federal spending to 18 percent of GDP? Actually, there is precedent. Federal spending fell as a share of GDP for nine consecutive years before bottoming out at 18.2 percent of GDP in fiscal 2000 and 2001. The Penny Plan would return federal spending, expressed as a share of GDP, near the level achieved during the last two years of the Clinton administration. The various interest groups that infest Washington would complain about this degree of spending discipline, but Carter and Fichtner make a good point when they say that this simply means the same size government – as a share of GDP – that we had when Bill Clinton left office. I realize I’m getting old and my memory may not be what it used to be, but I don’t recall people starving in the streets and grannies being ejected from hospitals during the Clinton years. Am I missing something? The yield on Portuguese government bonds – more than 11 percent on longer-term bonds — is substantially higher than the yields on debt issued by Ireland, Spain or Italy. …The main fear among investors is that Portugal is going to have to ask for a second bailout from the International Monetary Fund and the European Union, which committed $103 billion of financial aid in 2011. Maybe the big spenders in Portugal should import some of the statist bureaucrats at Congressional Budget Office. The CBO folks could then regurgitate the moving-goalposts argument that they’ve used in the United States and claim that the economy would be even weaker if the government hadn’t wasted more money. But perhaps the Portuguese left doesn’t think that will pass the laugh test. Amazingly, the Germans, who have a disturbing affinity for powerful government, decided against Keynesianism and that’s paid dividends for their economy. In any event, some of us can say we were right from the beginning about this issue. Not that being right required any keen insight. Keynesian policies failed for Hoover and Roosevelt in the 1930s. So-called stimulus policies also failed for Japan in 1990s. And Keynesian proposals failed for Bush in 2001 and 2008. Just in case any politicians are reading this post, I’ll make a point that normally goes without saying: Borrowing money from one group of people and giving it to another group of people does not increase prosperity. But since politicians probably aren’t capable of dealing with a substantive argument, let’s keep it simple and offer three very insightful cartoons: here, here, and here.